The U.S. 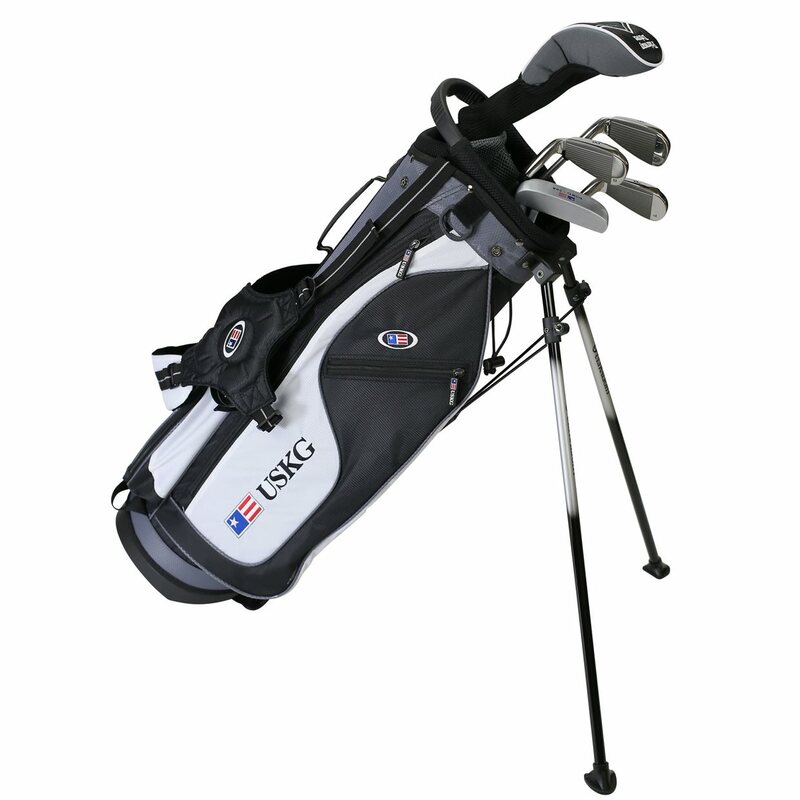 Kids golf clubs are constructed of lightweight, quality materials and are created specifically for junior golfers. The kids flex composite shafts paired with the light club head weight allows junior golfers to get the ball in the air with ease. The U/L 57 set has a driver length of 38-inches, and the perfect fit is for a player height of 57-inches, with an acceptable range of 57 to 60 inches tall. This set includes a fairway driver, 6 iron, 8 iron, pitching wedge, putter, and a stand bag.